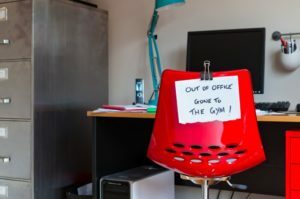 Exercise at work is becoming an increasingly common practice. The reason is that research – and companies, themselves – are discovering the benefits these brief bouts of activities bring to their teams. Studies have revealed that when couples and friends work out together, their relationships improve. As it turns out, the same thing is true when colleagues exercise at work. Not only does it help them to improve their individual health, but it boosts their productivity and workplace satisfaction. It can feel impossible to get back on track with your diet after you’ve let yourself slip. Whether you’ve stopped altogether, or you’re just cheating all the time, getting back into it can be challenging. It’s not just a matter of knowing what to do. You know what you want to do. However, working it all back into your life doesn’t seem as obvious as it did when you have the motivation of novelty on your side. Use the following tricks to get back on track when you’ve stumbled from your diet. Plant based diets that are high in carbs may actually help with weight loss and body fat reduction. This style of eating may also improve the body’s insulin function in overweight dieters. A small study showed that this type of dieting may provide this range of benefits. The current obesity epidemic in the United States indicates that the promise of benefits from plant based diets could be very helpful. At the moment, estimates show that more than 7 out of every 10 U.S. adults are overweight or obese. This is a considerable health risk when it comes to chronic conditions like heart disease and diabetes. The fitness lifestyle industry is positively booming. People are spending a small fortune on devices and gadgets, big and small. 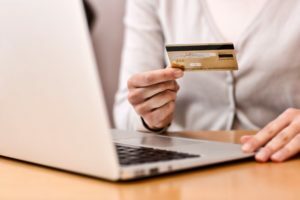 They’re paying for videos, memberships and subscriptions to help them to achieve a more efficient, more active way of living. According to the International Health, Racquet & Sportsclub Association (IHRSA), the health and fitness lifestyle industry in the United States is currently worth an estimated $30 billion. It has undergone a healthy growth rate of 3 to 4 percent per year for at least the last decade without any indication of slowing. In fact, many believe it is speeding up. What does that mean? Americans are becoming more interested in trying to improve their fitness levels. Cheat Meals: Helpful Technique or Tool of Destruction? Cheat meals are a super-fun way to incorporate all your old favorites into your diet. 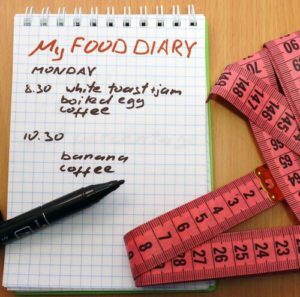 For many people, they provide motivation to stick to a diet’s rules to the letter because they know they will be able to eat whatever they want on a specific day of the week. After all, the idea that you can eat carrot sticks for your snack all week, then eat a whole medium-sized pizza for dinner on Saturday is awesome, right? Especially if you still lose weight. That said, as sad as it sounds, cheat meals may not be as beneficial as we’ve been led to believe. Many weight loss experts and a growing body of research is indicating that this technique does far more harm than good. The reason this technique stuck around for so long is that its downside is a tricky one. It has been very hard for scientists to measure. When weight loss or healthy weight management is your goal, choosing the right fat burning exercises can make all the difference. The main struggle isn’t just that you may not feel like exercising. There is a also a matter of a shortage of time. We’re all busy. We don’t have a lot of time to spare. When you have a limited amount of time, this doesn’t mean that you don’t have the minutes you need to complete a great workout every day. Instead, you just need to make sure you’re focusing on the right fat burning exercises. Do these types of workouts four or five times per week and you’ll discover a considerable difference. These are the kinds of exercises that get results.